At Leaving the Police, we are here to help. Having been where you are now and successfully come out the other side, we provide a range of services and information that will help you make the transition from the working environment you are used to, to one that you may not be so familiar with. Are you due to leave or have you recently left the police service? You think that your skills are not relevant to help you get a decent job. If you haven’t had to apply for jobs for a while and are not sure where to look. You don’t have recent experience of completing a good quality CV. You can’t remember the last time you had to prepare for an external job interview. Do you have a fear of the unknown. From regular webinars and support clinics, to a range of useful services and support mechanisms, we have the experience to make the next step of your life another success story. Assisting current and former police officers and staff transition to a new career. Our vision is to help colleagues to enjoy life after policing, making the successful transition from their policing career to the next stage of their working lives. It is our aim to share our own learning, knowledge and experiences, having successfully made the leap from policing to the ‘outside world’, to assist other colleagues in taking their next steps with more confidence and clarity. We are creating a large community of former policing members where the sharing of this knowledge and experience creates a thriving community for others to benefit. This recorded Job Hunting webinar covers all aspects of finding a job, things to consider, where to look for jobs and doing your planning. Delivered by two former police officers who have gathered a great deal of knowledge and experience about the commercial world, if you are intending to find another job after leaving the police, you should not miss this webinar. This recorded webinar covers the Interview process that usually follows your successful CV sift or application. All aspects of the interview process are discussed, including types of interview, preparation, questions, planning, research, travel with expert advice from the two presenters, Mark and Rob, who have interviewed many individuals for numerous roles. A valuable video for anyone that needs to prepare for an interview. 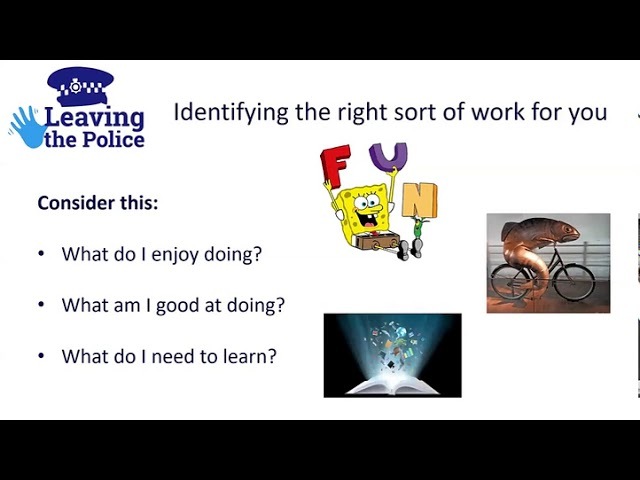 www.leavingthepolice.co.uk have created a webinar about the transferable skills you can take with you when you leave the police. Providing the latest vacancies from the Private & Public Sectors. 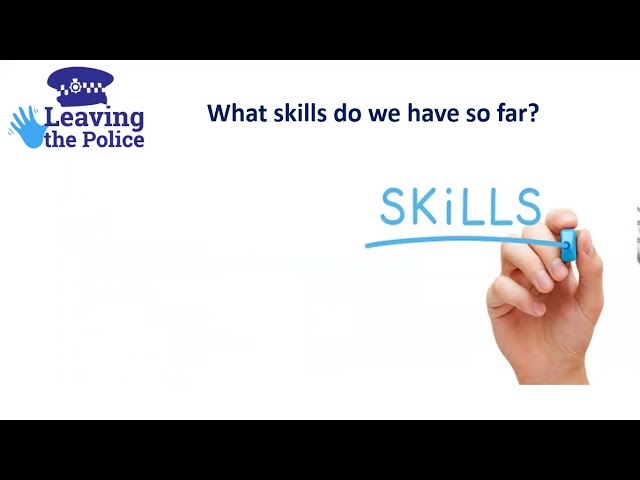 We provide resources from industry experts and experienced leavers to assist with the transition from the Police Service. We provide ongoing support not only during the application process, but throughout your new career. Sign up for our newsletter & free career guides below.